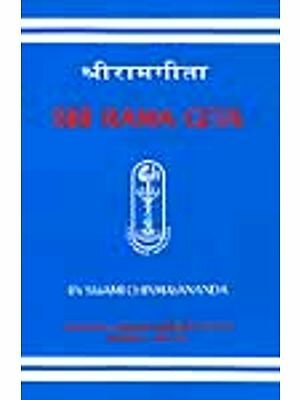 Nama Ramayana is story of Lord Rama in condensed form. 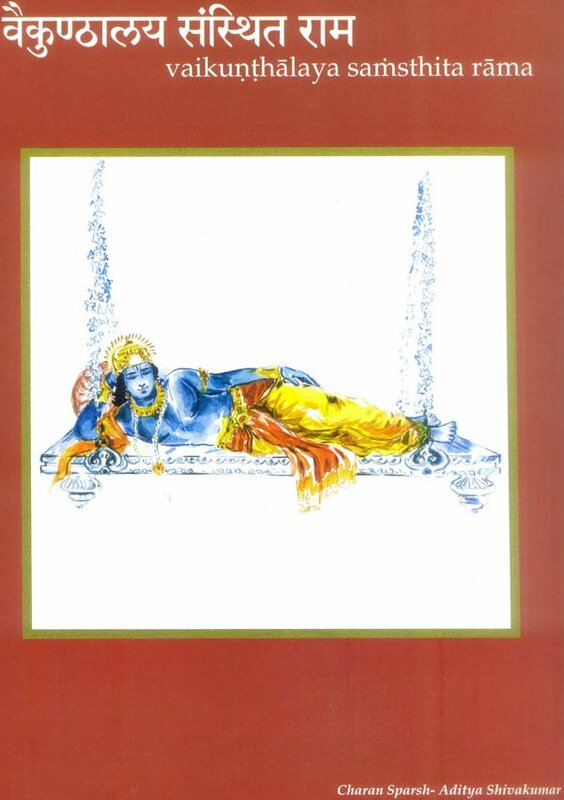 It consists of a 108 names based on the various sterling aspects ans experience of the illustrious King of Ayodhya the dutiful Son of Dasharath, the Beloved of Sita. Each name has an interesting story to tell; a profound message to teach. 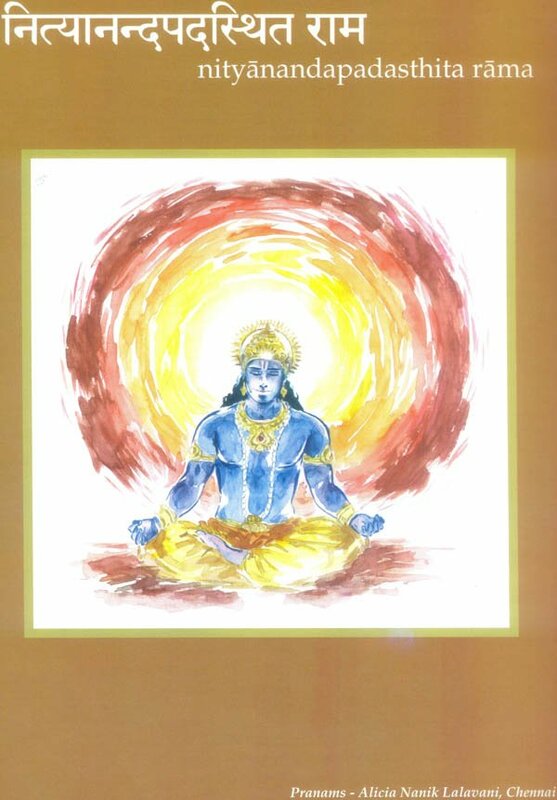 Enjoy this book from cover to cover, or one name at a time; open page at random, or read through it in order; revel in the story, or go beyond to reach the hidden pearls; or simply meditate on the beautiful paintings of the unparalleled Man of Treta Yuga. Whichever path you choose, through His glorious names, tune in to him. The wise and noble sage Valmiki posed a powerful question to Narada, the greatest devotee of Lord Vishnu and creator of the Narada Bhakti Sutra. Valmiki asked “who can possibly by full of virtues in this world at present? Who is possessed of prowess and knows what is right, conscious of the services to be done, truthful of speech and firm of resolve? Who is possessed of right conduct and friendly to all living beings? Who is a man of knowledge? Who is powerful and has an appearance that attracts all? Who has subdued his senses and conquered anger? Who is possessed of splendor and is above finding faults in other? Is there such a person who, when provked in battle, even the Deva’s fear? I wish to hear if such a man exists, O eminent seer. 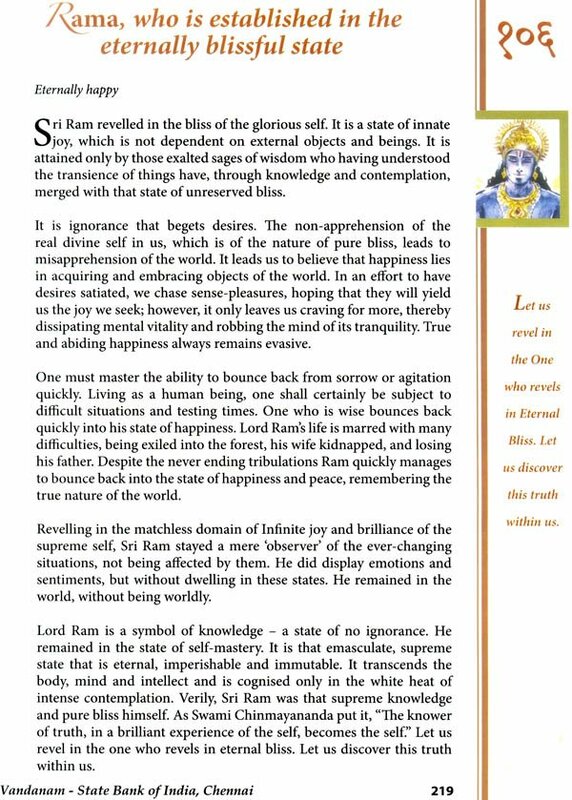 “Hearing this question, the great sage Narada, who possessed knowledge of all the three worlds proclaimed “Listen”. 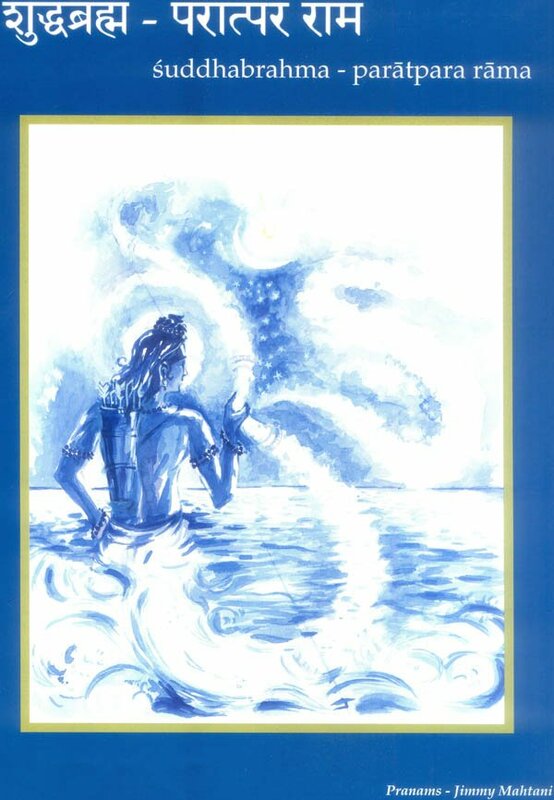 With sheer delight Narada exclaimed “there is one who has fully controlled his mind and has bought his senses under control; is powerful, radiant and resolute. He is intelligent, sagacious, eloquent, glorious and an exterminator foes. He is distinguished, with broad shoulders, powerful arms, a conch-shaped neck and defined chin. He know the secret of virtue, is true to his word and intent on the good of people. He is illustrious, full of wisdom, pure in his dealings; a man of self-control and concentrated mind. He knows the truth of the Vedas and the real meaning of all the scriptures. He vies with the ocean in profundity and is like the Himalayas in his firmness. He is a replica of lord Vishnu in prowess and is pleasing to look upon as the moon. He is Ram. 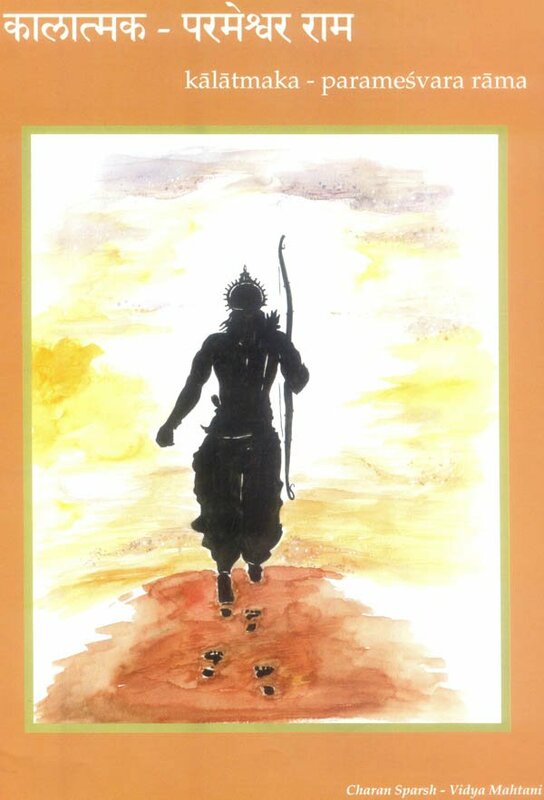 Speaking these words Narada, delved with immense joy into the story of the Ramayana. This was Ram, the man of Treta, Yuga. 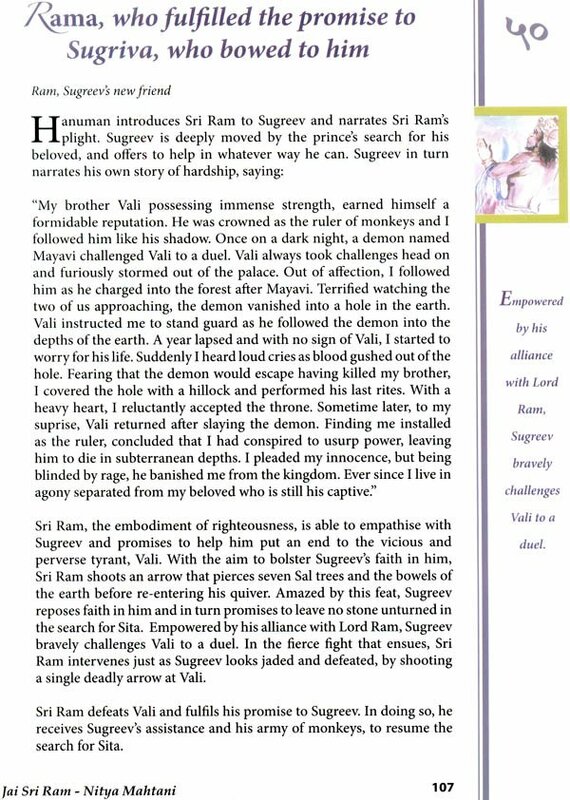 Lord Ram was one who lived life so perfectly that is inspired the most exalted of beings, yet his name alone is powerful enough to transform even the lowest of souls into sublime knower’s of the supreme truth. 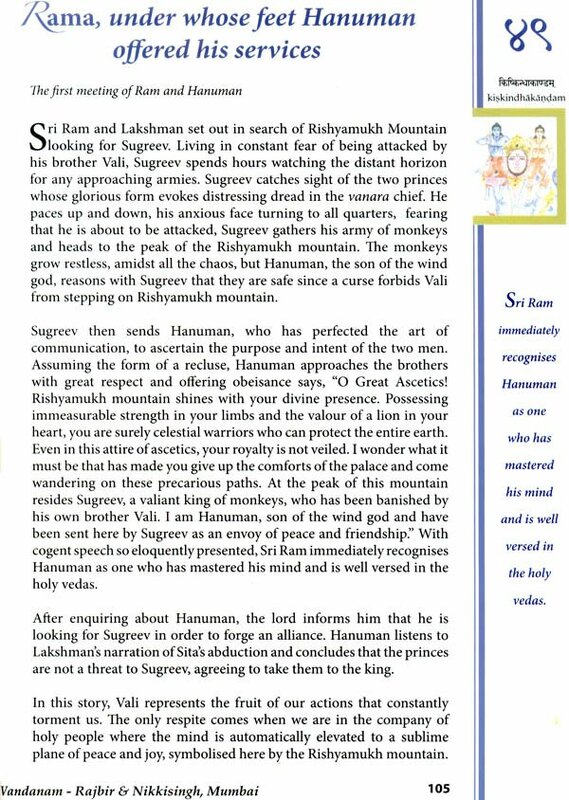 Sage, Valmiki, author of the legendary epic, The Ramayana, was one such person. Many years before he became a sage, he was known as Ratnkar, who lived in the forest, surviving by looting, and at many times, killing travelers who passed through. One day he changed the wise saint Narada and concerned him. Instead of being frightened for his life, Narada looked upon him with compassion, asking him some pressing questions about his life. 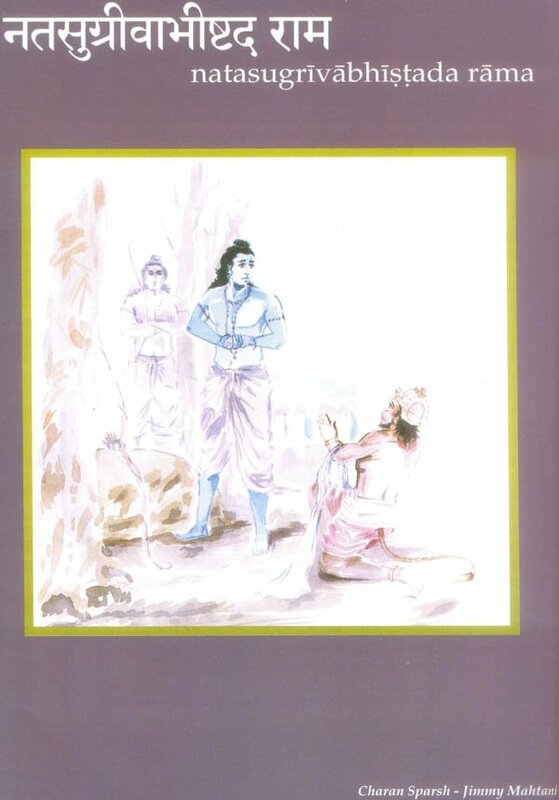 Ratnkar eventually broke down in tears begging Narada for guidance on how to atone for his sins. 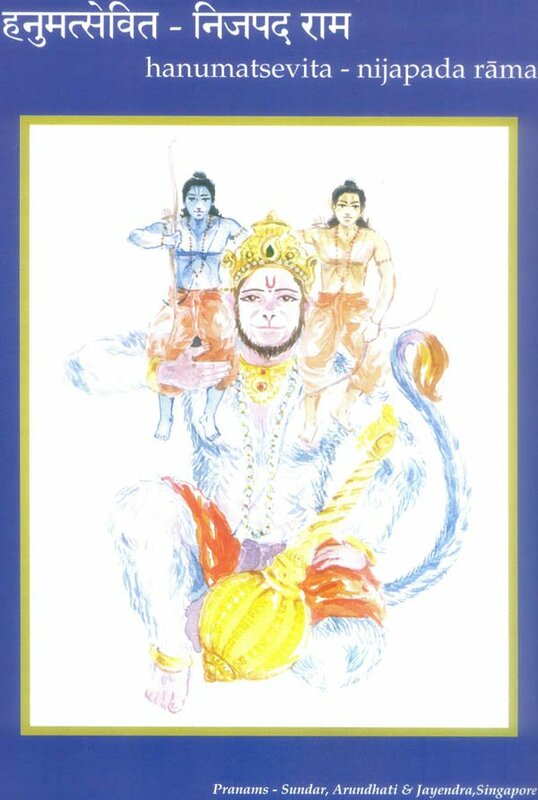 Naradas advised him continually to chant the name of Ram until he returned. The sage went back, many years later only to find him still meditating, completely covered in an anthill. He awakened Ratnakar from his meditation recognizing that ceaseless contemplation on the Lord’s name had transformed him. 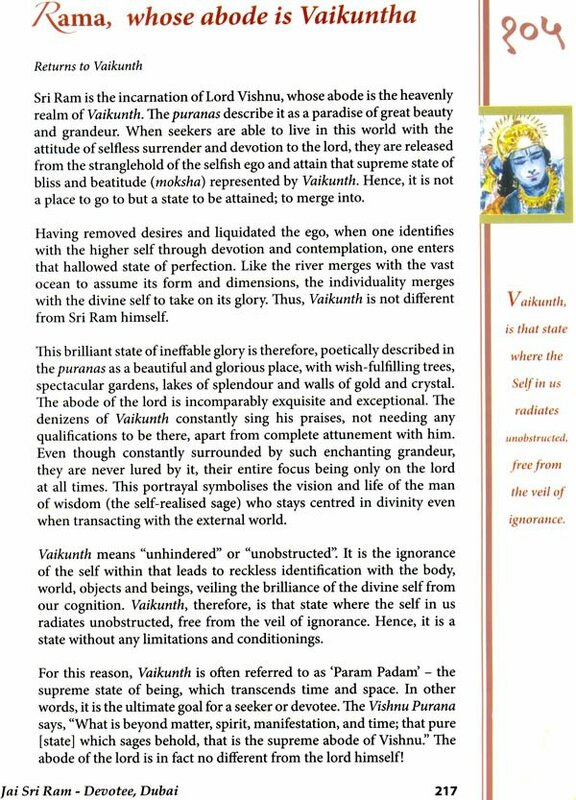 Pleased with his dedicated, Narada awarded him the status of Brahamarishi and gave him the name Valmiki one reborn through an anthill. 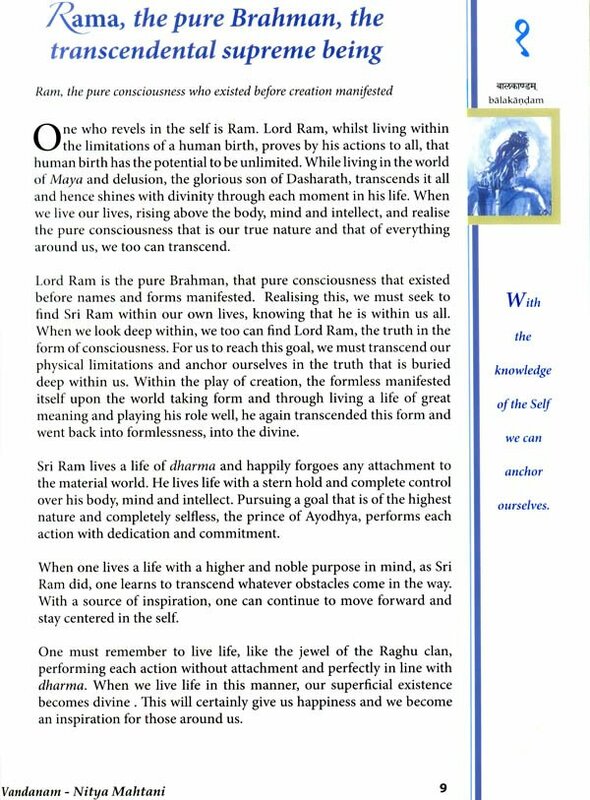 Just as sage Valmiki transformed his life through meditation upon Sri Ram, we too can do the same. 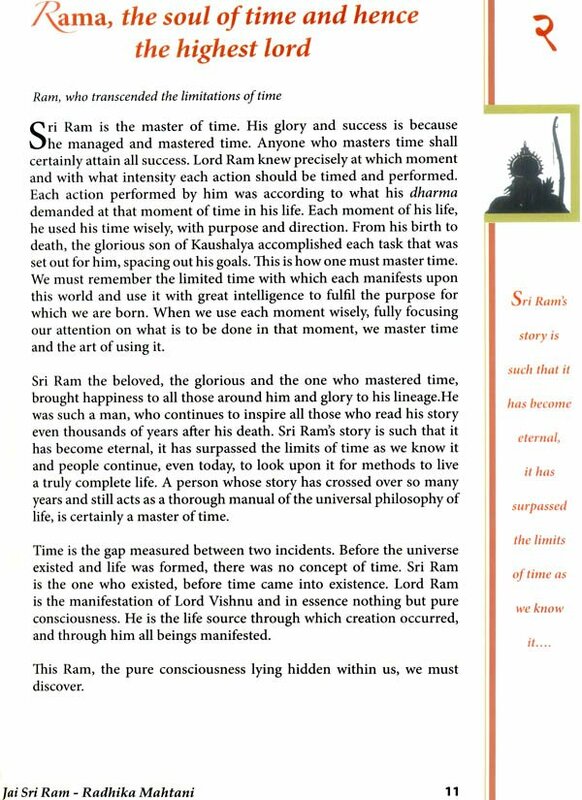 One must read and reflect upon hi glorious story and to discover how to live a life worth living. As one turns the pages of this book ones journey towards perfection begins.